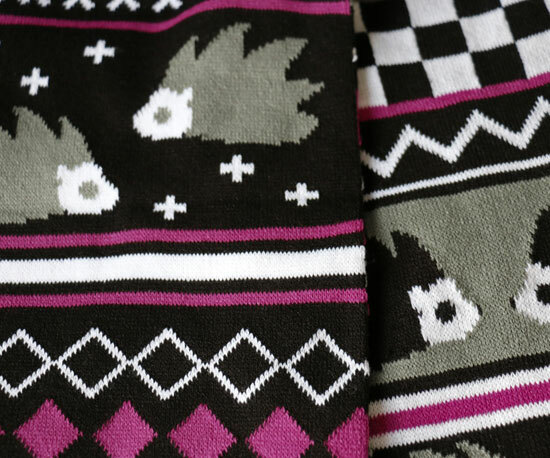 Introducing: my new hedgehog scarves! 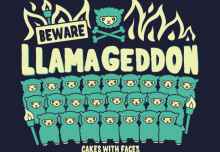 I’ve been working on several new things recently, and this is something completely new for Cakes with Faces. I always like to try and expand the range to new and exciting things, and offer something different from what you find everywhere. It’s a lot of work but I think it’s worth it! 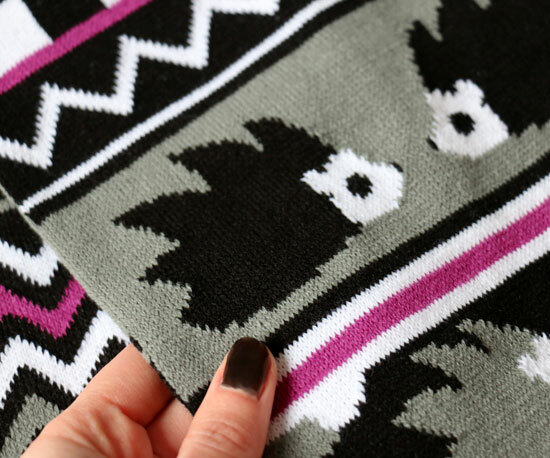 The design has traditional knitted scarf patterns like stripes, zigzags and checks, with hedgehogs! The hedgehog motif’s made into subtle patterns. Like with my dresses, the idea is it looks like a normal design from a distance, but there’s more to it when you look closer! There are also snowflakes and leaves for autumn and winter. 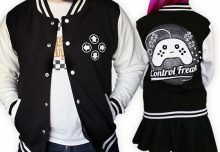 So you can wear it at Christmas (it’d make a lovely Christmas gift!) but it’s not Christmassy, so you can wear it at other times of year too. I get cold easily, so I wear a scarf for about 6 months of the year! 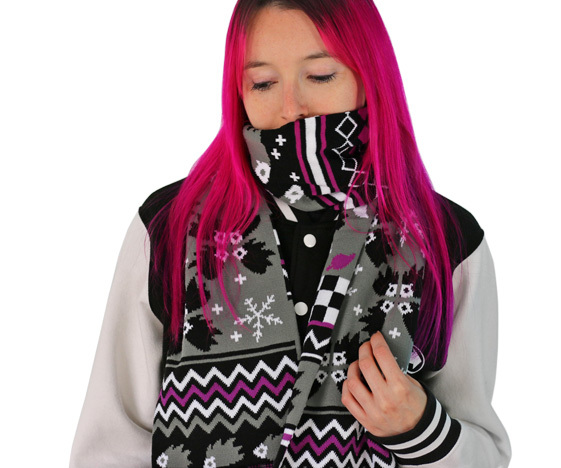 I wanted it to be a wearable colour scheme that would go with anything, so it’s in black, grey and white with magenta highlights. It’s a knitted, winter scarf – nice and soft. 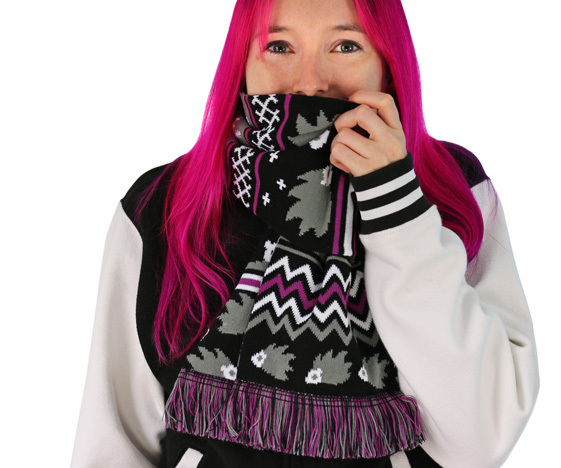 It’s double-sided, with the design on both sides, so it’s thick and comfy to keep you warm in the autumn and winter. 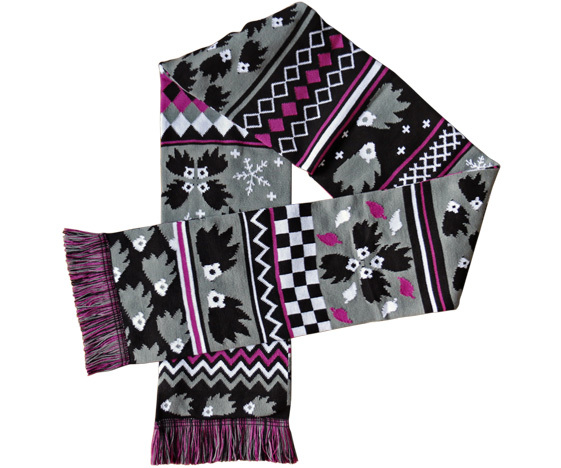 The tassels on the ends are in matching colours: black, grey and magenta. It’s unisex adult size – long enough to wear wrapped around, or that other way where you pull the ends through a loop (I don’t know what it’s called!). I’ve been wanting to design something with hedgehogs on for a while – they’re just so cute! I’ve had a hedgehog house in the garden for months but no inhabitants yet – I’m still hoping one will come along and move in. Funnily enough, after I designed this we found a poorly hedgehog in the street. He had an injured eye, and kept falling off the kerb and bumping into things. At the advice of the local hedgehog rescue helpline, we took him to the vet for a check-up. He spent the night in a box in the garage, happily tucking into some cat food from the vet. The next day we took him to the hedgehog rescue centre, where they said he’d probably been attacked by a crow or magpie. They’re looking after him – he’s going to have some tests to make sure he’s healthy, then either be released back into the wild or to one of their trained carers. I can’t say I’m not disappointed they didn’t let us keep him, but it’s good to know he’s going to be ok. So this scarf is a tribute to the poorly little hedgehog! 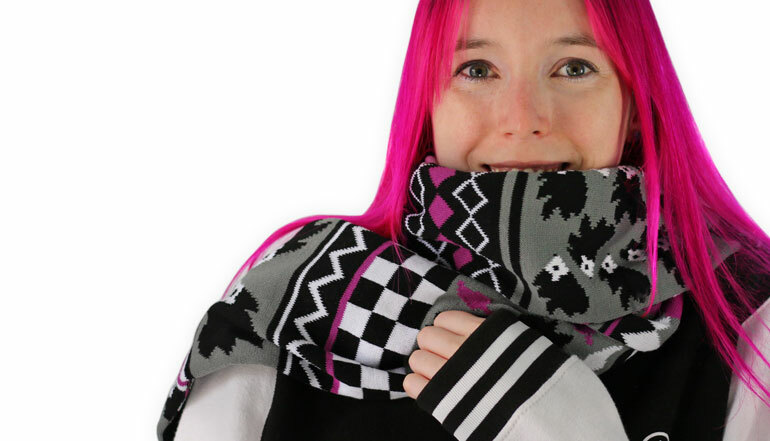 To be the first to have the new design, pre-order now and your scarf will be delivered towards the end of October 2018 – in time for Halloween and Bonfire Night! 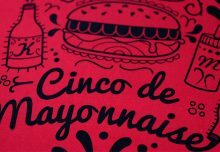 You’ll receive an email when it’s on its way to you. If you have any questions about the pre-order just get in touch. 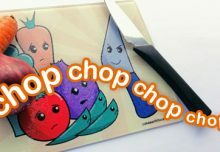 NEW: Chopping Boards Hit the Online Shop!